Product code: R830 Categories: Sold Items, Sold Rings. 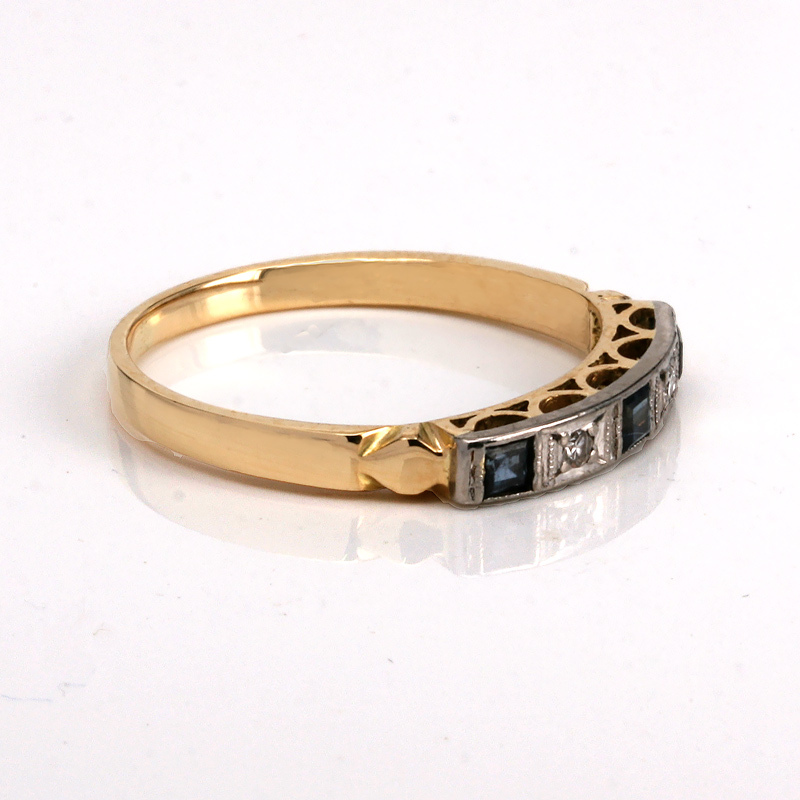 here is a very sweet and charming Art Deco sapphire and diamond ring that will look so good on its own or as a wedding band. 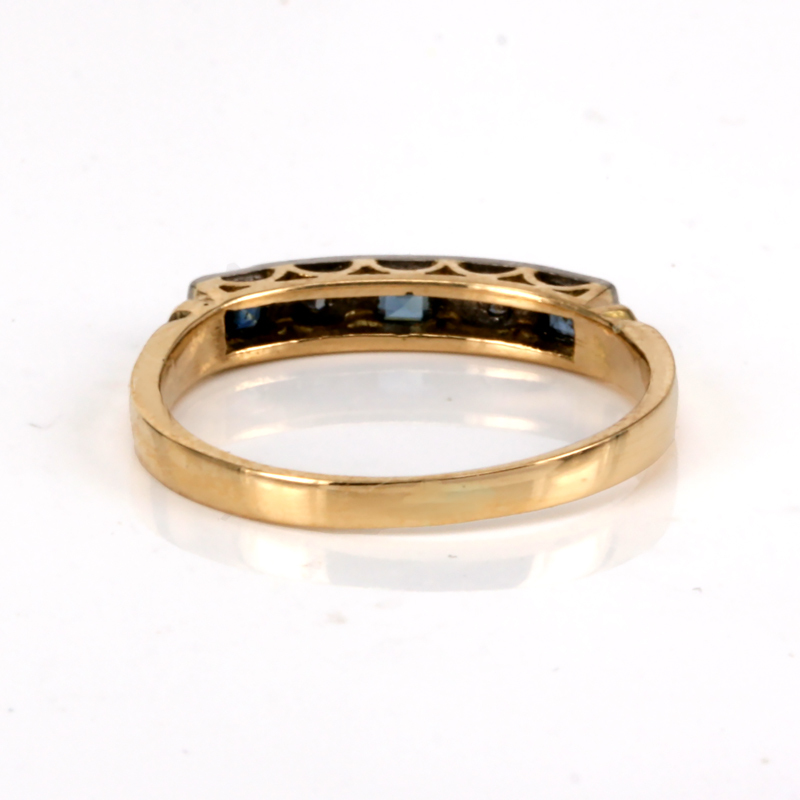 Hand made in 18ct yellow gold and palladium, this is precious metal from the same family as platinum and was popular to use in the 1920’s Art Deco era and is a lovely pure white colour with brilliant strength to support the sapphires and diamonds. 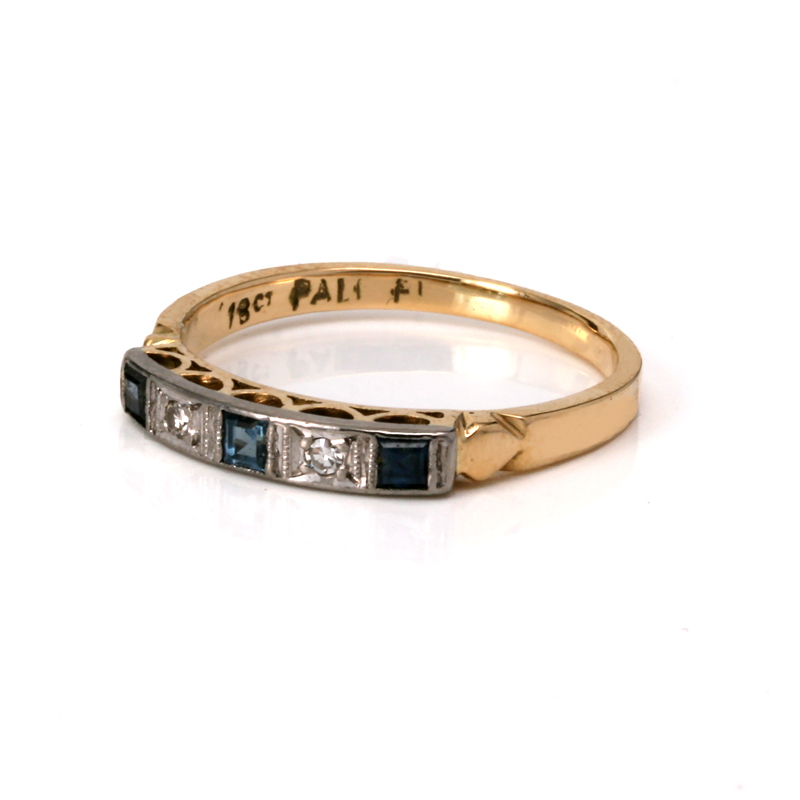 Set with three square sapphires that really look so good which is further enhanced by the two diamonds set into the ring. From one side across to the other, this distance measures 15.1mm by 2.8mm wide and feels so comfortable to wear all the time. A very lovely and sweet example of a genuine Art Deco sapphire and diamond ring that doesn’t have to break the bank to buy something to love and enjoy.